Graham Russell and Russell Hitchcock met on May 12, 1975, the first day of rehearsals for “Jesus Christ Superstar” in Sydney, Australia; they became instant friends with their common love for The Beatles and, of course, singing. After the shows’ performances at 10:30, they would play pizza parlors, coffee bars and night clubs with just one guitar and two voices. They quickly gained a reputation for great harmonies and for original songs that Graham was constantly writing. They made a demo on a cassette of two songs, “Love and Other Bruises” and “If You Knew Me” and took it to every record company in Sydney. Everyone turned it down but one — CBS Records — who admired their unique style. The duo play the Sunset Green Event Lawn at 8 p.m., Friday, Jan. 25. Seven top-five singles later, Air Supply at that time had equaled The Beatles’ run of consecutive top five singles. The albums “Lost in Love,” “The One That You Love,” “Now & Forever” and The Greatest Hits sold in excess of 20 million copies. “Lost in Love” was named Song of the Year in 1980, and, with the other singles, sold more than 10 million copies. However, it is the live shows that always hold audiences captive around the world. They were the first Western group to tour China, Taiwan and countless other countries that before would not allow pop music across their borders. In 1983 they recorded “Making Love Out Of Nothing At All” by Jim Steinman which solidified the group as a permanent force in modern music. This song was released on The Greatest Hits album which soared past 7 million copies. “Lost in Love,” “All Out of Love,” “The One That You Love,” “Sweet Dreams” and “Making Love Out Of Nothing At All” have each achieved multi-million plays on the radio. Air Supply began to tour with lavish productions in places that no one had been before. In South America and Asia they became a part of everyone’s life. In 1988, Air Supply was asked to participate in Australia’s bicentennial celebration and to play for HRH Prince Charles and HRH Princess Diana, where they learned both were already ardent fans. This engagement would be one of their most treasured moments in their career. In 1989, they recorded “The Earth Is” album selling over a million copies outside of the U.S. This album was followed by “The Vanishing Race” CD and, with the singles “Goodbye” and “It’s Never Too Late,” again saw multi-platinum success. The following albums, “News from Nowhere,” “Yours Truly,” and “Across the Concrete Sky” all gave their second greatest hits album multiplatinum status as they traveled the world each and every year. In July 2005, their live DVD, “It Was 30 Years Ago Today” celebrated 30 years of success around the world and in that same month, Air Supply smashed attendance records when, in Cuba, at one show they played to 175,000 people. Also 2005 saw the release of “The Singer and the Song,” an acoustic album of many of their big hits which received critical acclaim. 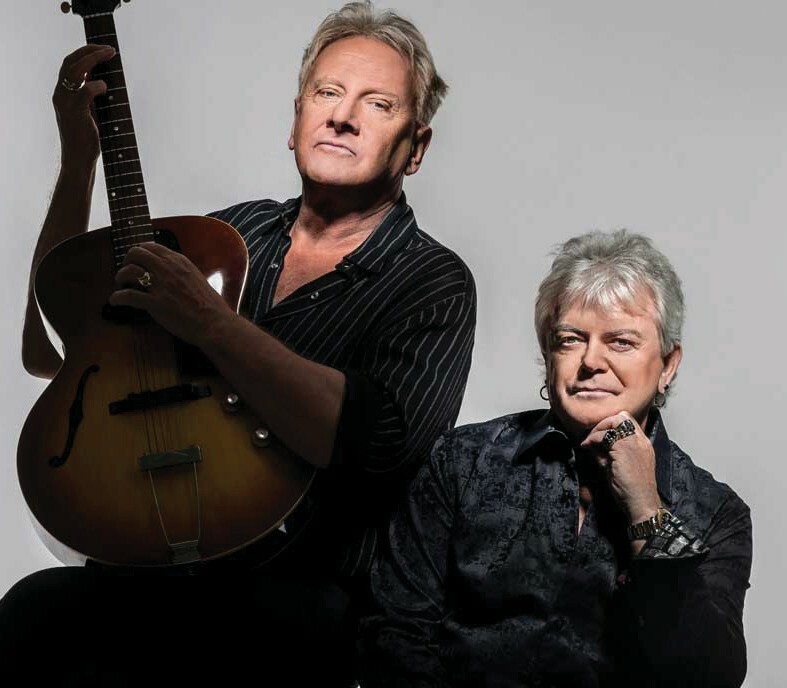 Just weeks after composer and vocalist Graham Russell was honored with a BMI Million-Air Certificate recognizing 3 million performances of the duo’s hit “All Out Of Love,” Air Supply’s new song was the No. 1 most added track on the FMQB AC40 Chart, and also one of the most added on the R&R (Radio and Records) AC Chart and the Mediabase AC chart.